Crisp and clean lot, there are no high numbers. Condition looks to be about 70% Ex-Mt or so, the balance goes down to the VG to VG-Ex range. Centering varies but is not bad at all overall. 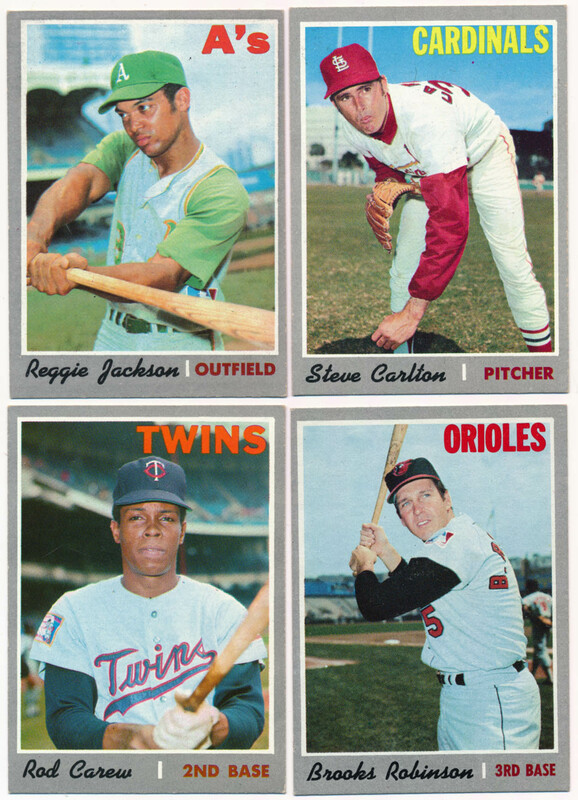 These cards come in the lot: 140 Jackson, 150 Killebrew, 220 Carlton, 230 B Robby, 290 Carew, 380 Perez, 449 Palmer, 453 Carew AS, 458 Rose AS, 461 Yaz AS and 560 G Perry.